He saw a trainer nearby and asked why these animals just stood there and made no attempt to get away. "Well," trainer said, "when they are very young and much smaller we use the same size rope to tie them and, at that age, it's enough to hold them. As they grow up, they are conditioned to believe they cannot break away. 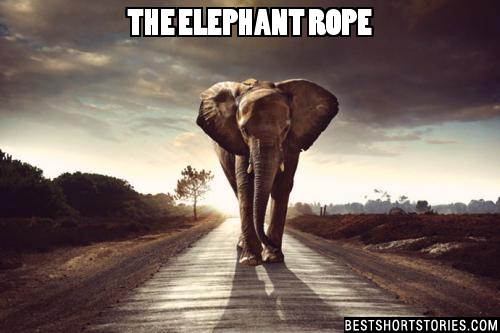 They believe the rope can still hold them, so they never try to break free." The man was amazed. These animals could at any time break free from their bonds but because they believed they couldn't, they were stuck right where they were.